Flip a coin. 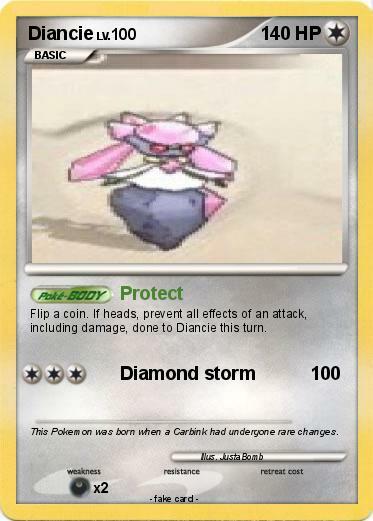 If heads, prevent all effects of an attack, including damage, done to Diancie this turn. Comments : This Pokemon was born when a Carbink had undergone rare changes.